TAMPA, Fla. (May 9, 2018) – At a ceremony held last night, May 8 at Jazz in Lincoln Center’s Frederick P. Rose Hall in New York City, it was announced that the television broadcast of the 2017 IRONMAN World Championship race was awarded the Sports Emmy for Outstanding Edited Sports Event Coverage. The show which was co-produced by IRONMAN and Texas Crew Productions and airs on NBC, was up against considerable competition for the prestigious award, including the 2017 World Series Film: Houston Astros vs. Los Angeles Dodgers (FS1/MLB Network), All Access Epilogue: Mayweather vs. McGregor (Showtime), Sound FX: Super Bowl 51 (NFL Network), UFC Fight Flashback: Cruz vs. Garbrandt (FS1). The 39th Sports Emmy Awards recognized outstanding achievement in sports television coverage across 40 categories. With the win, the IRONMAN World Championship broadcast has now captured 17 Sports Emmy awards along with numerous other accolades, including 55 Emmy nominations. This was the sixth Sports Emmy win in the category of Outstanding Edited Sports Event Coverage/Special and the first Emmy win since 2011 when it won for Outstanding Camera Work. The age-group features this year included Marine Corps veteran Mike Ergo and stage-4 pancreatic cancer fighter, Mike Levine. Ergo used triathlon to battle the demons of post-traumatic stress disorder, while finding a way to keep the memory alive of his 29 fallen Marine Corps brothers by racing with their names on his kit. Levine found encouragement from 1982 IRONMAN World Champion Kathleen McCartney, who raced alongside him and helped him realize a diagnosis doesn’t define you. The story of Sian Welch’s return to the island 20 years after one of the most memorable finishes in IRONMAN history was also documented, along with the exciting professional race. For more information on the IRONMAN brand and global event series, visit www.ironman.com. For media interested in receiving a full length copy of the show or other related inquiries, please contact press@ironman.com. The National Academy of Television Arts & Sciences (NATAS) is a professional, non-profit service organization dedicated to the advancement of the arts and sciences of television and the promotion of creative leadership for artistic, educational and technical achievements within the television industry. 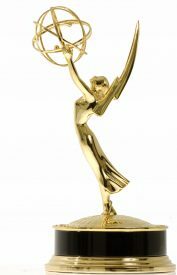 It recognizes excellence in television with the coveted Emmy Award for News & Documentary, Sports, Daytime, Daytime Creative Arts, Public & Community Service, and Technology & Engineering. NATAS membership consists of over 16,000 broadcast and media professionals represented in 19 regional chapters across the country. Beyond awards, NATAS has extensive educational programs including Regional Student Television and its Student Award for Excellence for outstanding journalistic work by high school students, as well as scholarships, publications, and major activities for both industry professionals and the viewing public.